At the beginning of 2017, Datto announced its acquisition of Open Mesh. In this article, we will find out what is going to change for Open Mesh customers after this acquisition from Datto. The new Datto Networking line of products for small-to-medium sized businesses has incorporated both the Open Mesh wireless access points and Ethernet switching technologies and the existing Datto Networking Appliance and will be delivered exclusively through Datto’s global network of Managed Service Provider partners. What will change for existing Open Mesh customers? As of January 1st, 2019, customers can still purchase Open Mesh hardware through selected distributors and online resellers, with no recurring fees. However, the availability of Open Mesh products is only limited to the remaining inventory. All of the existing Open Mesh hardware has an end-of-life date of 3 years from the end-of-sale date. As for the most recent products, the end-of-life date is December 31, 2021. After that date, no more fixes and security updates will be released for Open Mesh products, and support will be no longer provided. In the course of this acquisition, Datto Networking has adopted a pricing model which aligns to how MSPs sell their products and requires all new customers to pay a monthly recurring fee, unlike the one-time fee originally set by Open Mesh, which also included a free CloudTrax lifetime license. Consequently, after the end-of-life date of their purchased products, all current Open Mesh customers are either being forced to upgrade to Datto Networking products and pay the related monthly fees or to switch to an alternative hardware solution. Both of these options represent significant additional costs that ultimately lead to a hardware CAPEX increase. Tanaza wants to help Open Mesh customers to continue using their hardware by making its latest product, TanazaOS, fully compatible with Open Mesh devices. TanazaOS will support Open Mesh access points as well as other hardware vendors, freeing WiFi service providers from vendors’ lock-in. TanazaOS is a Linux-based Operating System for centralized network management. It was developed based on the disaggregation concept which embraces the open-source approach, where WiFi solution providers have the possibility to decouple their hardware choice from their software choice. Furthermore, TanazaOS is flexible and unlimitedly scalable, and helps in delivering wireless networking faster. Enterprises and service provider customers reduce complexities and get complete interoperability at a fraction of the cost of other WiFi solutions. Open Mesh customers switching to TanazaOS from CloudTrax or Datto Networking will leverage from competitive lifetime license pricing, allowing them to dramatically save on their deployment costs, while also benefiting from a secure, reliable and always up-to-date operating system for WiFi cloud management. Benefit from additional features, as TanazaOS is constantly evolving, adding new capabilities such a Hotspot System. If you are an Open Mesh user and want to know more about TanazaOS and its features, you can try the interactive demo to experience our cloud-based operating system to manage your Open-Mesh access points. 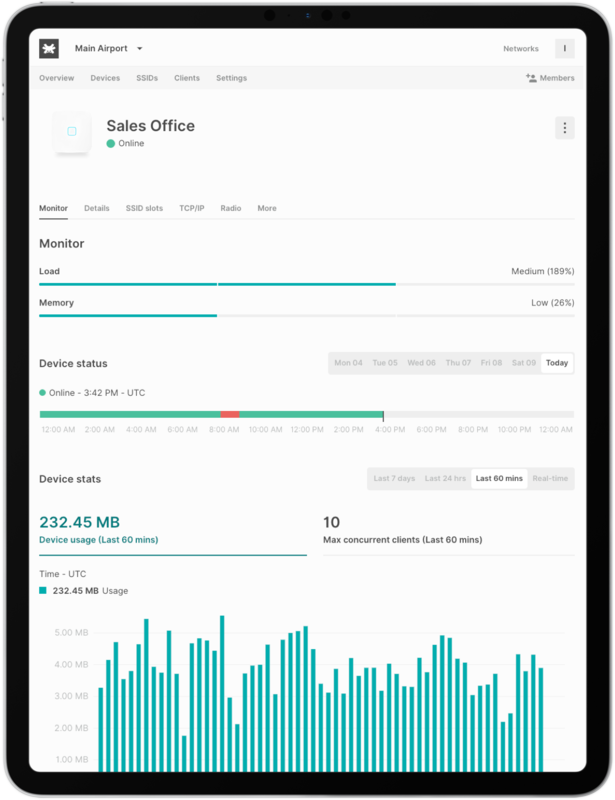 Tanaza will soon launch a new product: TanazaOS, a Linux-based operating system for centralized wireless network management. TanazaOS is an operating system that fully disaggregates hardware and software as it runs on different access points models and open-hardware networking devices, giving enterprises and carriers an unprecedented possibility to decouple their hardware choice from their software choice, with considerable cost savings and efficiency advantages. TanazaOS will continuously be updated to deliver turnkey features, patch vulnerabilities, and drive security and stability. Keep in mind: TanazaOS will not replace the previous Tanaza all-in-one product. TanazaOS interactive demo tool will go live. Test out the new product and learn more about the available features. TanazaOS will be available for trial and purchase. Be the first to discover the new TanazaOS software, schedule a demo with one of our consultants. Get updates about TanazaOS’ features, exclusive information, and the release date. Nowadays, public bodies such as international, federal and state entities are becoming more and more supportive of the open source movement and in general of “open” approaches. Enhancing transparency and innovating to serve citizens better. Government bodies such as FCC are also recognizing its value by actively contributing back to open source software: indeed, it became the first .gov to contribute to WordPress, the most used content management system. Public entities are also encouraging wireless hardware vendors to allow interoperability with third-party systems based on open source in order to benefit end consumers: indeed, open source firmware can make wireless devices more powerful and more useful, allowing users to implement functions that have been disabled or omitted by manufacturers and ultimately giving them the freedom to customize their hardware. This concept empowers the idea of disaggregation, which means offering the option to select software from one vendor and run it on hardware from a different manufacturer. In 2016, for example, the FCC required networking hardware vendor TP-Link to support open source firmware on its routers. In a settlement with the FCC, TP-Link agreed to pay a $200,000 fine to be compliant with the rules for the 5GHz band and to allow users to install open source firmware on its routers. FCC’s rules for the 5GHz band, indeed, require router makers to prevent third-party firmware from changing radio frequency parameters in ways that could cause harmful interference with other devices and services. Router makers could be compliant with these FCC rules by placing limits on what third-party firmware are allowed to do or, alternatively, they could comply by entirely preventing the loading of open source firmware, and this is what TP-Link chose to do. Indeed, TP-Link’s software updates “precluded customer installation of third-party software, including open-source software,” to meet the new 5GHz requirements, the settlement said. In order to avoid further penalties, the settlement required TP-Link to “work with the open-source community and Wi-Fi chipset manufacturers to enable consumers to install third-party firmware on their Wi-Fi routers,” FCC stated. At Tanaza, we believe that disaggregation is imminent on the WiFi networking industry and that, considering the new market conditions, the unbundling of hardware and software is the future for WiFi professionals. For this reason, we developed full compatibility with many wireless devices from different vendors, allowing WiFi professionals to choose the hardware they want to work with and therefore to save on infrastructure costs and hardware while avoiding vendor lock-in. Tanaza’s firmware is based on OpenWRT, a Linux-based open-source firmware for embedded devices that enables the customization of wireless access points, as a result of its fully writable filesystem with package management. For more information about Tanaza and its wide range wide of supported access points, click here. The exponential growth in demand for wireless internet connectivity has led to the need, for companies in most business environments, to upgrade their Wi-Fi networking infrastructure. Many companies within the networking industry aim at establishing lock-in barriers with high switching costs in order to make customers dependent on them. This approach progressively increases Wi-Fi deployment costs for organizations, slows down innovation and ultimately hinders the Wi-Fi user experience. Recently, the networking industry has began shifting from operating as a proprietary closed system to a more flexible system. This shift to a more flexible, open system, occurred as a result of customer dissatisfaction due to high internet connectivity pricing, vendor lock-in, slow innovation, poor quality software, unforeseen charges for services that should have been included in the price of the product, to name a few. At Tanaza, we believe that the current market conditions allow the disaggregation of hardware and software to occur also in the Wi-Fi networking market and create a disruption. Tanaza is an vendor-alternative firmware, based on OpenWRT that supports a wide range of access points. OpenWRT is a Linux-based open source alternative firmware for embedded devices that enables the customization of wireless device, as a result of its fully writable filesystem with package management. With OpenWRT, the network administrator can avoid being locked by the web interface or the web applications of the vendor. Easy to install and to use, Tanaza may be the best option for you, if you are looking for an easy-to-use alternative firmware for your wireless device. For more information about Tanaza and its wide range wide of supported access points, click here. If you can’t find the vendor you are looking for, you can make a request and ask to Tanaza to support a new access point. To see the full list of access point vendors compatible with OpenWRT, check below. The 802.11ax specification, also known as ‘high-efficiency wireless’, will be commonly referred to and marketed as WiFi 6. This is a new naming standard set by the Wi-Fi Alliance®, with previous generations now being retroactively labelled as WiFi 5 (802.11ac) and WiFi 4 (802.11n). This new labelling convention will appear on devices as shown in the image below. This naming scheme is aimed at making it simpler for final consumers to recognize which of the IEEE 802.11 standards each WiFi device supports. WiFi 6 will have a single-user data rate that is about 40% faster than 802.11ac by virtue of a more efficient data encoding, resulting in a higher throughput: more data is packed into the same radio waves, and the chips that encode and decode the signals will increasingly get more powerful and will be able to handle the additional work. The new standard also improves the performance on 2.4GHz networks that, despite the large investments of the industry on the 5GHz band to reduce interferences, is still better at penetrating physical obstacles. WiFi 6’s predecessor, 802.11ac, only uses bands in the 5GHz spectrum; the new standard operates across both frequencies and will eventually expand this spectrum to include bands in 1GHz and 6GHz when they become available. WiFi performance tends to get worse in crowded locations, such as stadiums, airports, malls and offices, where many WiFi enabled devices are connected to the network at the same time. The new WiFi 6 incorporates many new technologies to overcome this issue, and according to Intel, it will improve each user’s average speed by at least four times in congested areas. WiFi 6 can divide a wireless channel into a large number of subchannels, and each of these subchannels can carry data intended for a different device. This is achieved through the Orthogonal Frequency Division Multiple Access (OFDMA), a modulation scheme which allows for resource unit allocation and will boost capacity, reduce latency and improve efficiency by allowing as many as 30 users at once to share the same channel. This technology is not a part of WiFi 5, which has regular OFDM; OFDMA is compared as a multi-user version of OFDM. The new wireless standard has also an improved version of multi-user or MU-MIMO. Wi-Fi 5 Wave 2 introduced Multi-User MIMO, but it only supports four simultaneous connections on downstream (one on upstream). Wi-Fi 6 will instead be able to handle eight streams of data in either uplink or downlink, offering four times the maximum theoretical throughput of Wi-Fi 5 and supporting more users at once. The new Target Wake Time (TWT) feature enables access points to tell to connected devices when and how frequently they have to “wake up” to send or receive data, reducing power consumption and improving spectral efficiency. This technology will be very useful for both mobile and IoT devices, allowing them to effectively increase their sleep time and consequently extend their battery life. 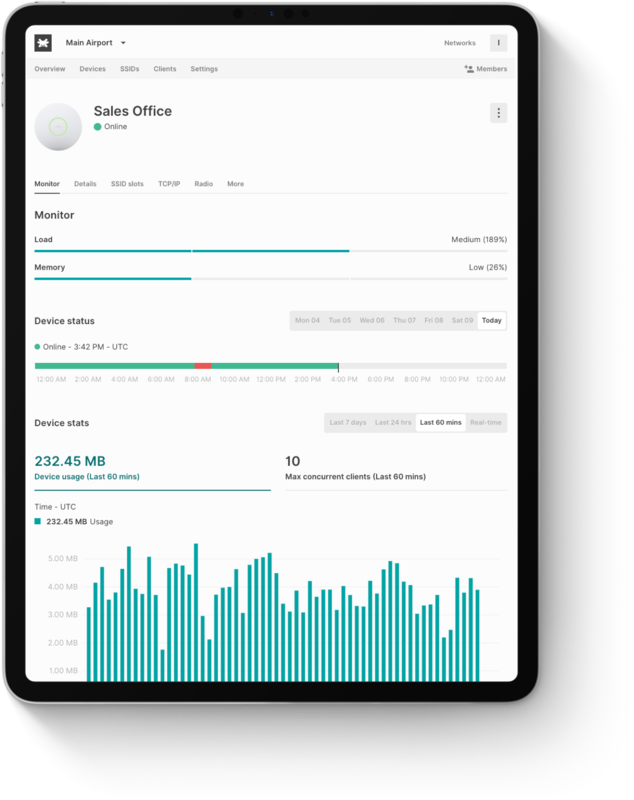 Target Wake Time, in addition to saving power on the client device side, also enables wireless access points and devices to define and negotiate specific times to access the medium, reducing contention and overlap between users. When will we get WiFi 6? 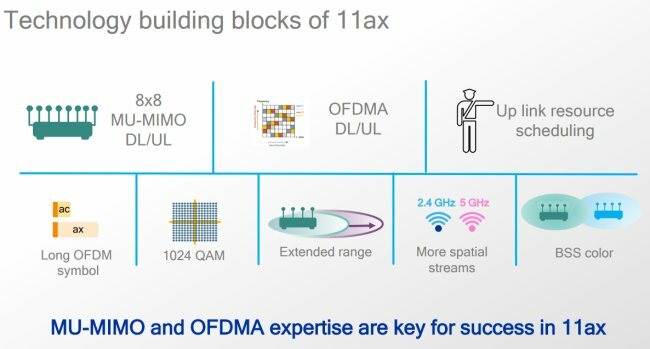 While some routers already advertise “802.11ax technology” and many products supporting WiFi 6 were presented during CES 2019, 802.11ax WiFi won’t be finalized until the end of 2019. There also aren’t any WiFi 6 client devices available yet, so so these routers won’t bring any benefits to consumers before the transition is done: indeed, both the sender and the receiver need to support the latest generation of WiFi to gain the advantages.